Fred St Amand JR Would Like To Extend His Deepest Condolences To The Many Friends & Family Of Gabelita Miracle Rabel. Gabelita was born on October 21, 1960 in Port Aux Prince, Haiti to the parentage of the late Edgard Jameaux and cleclie Rabel. 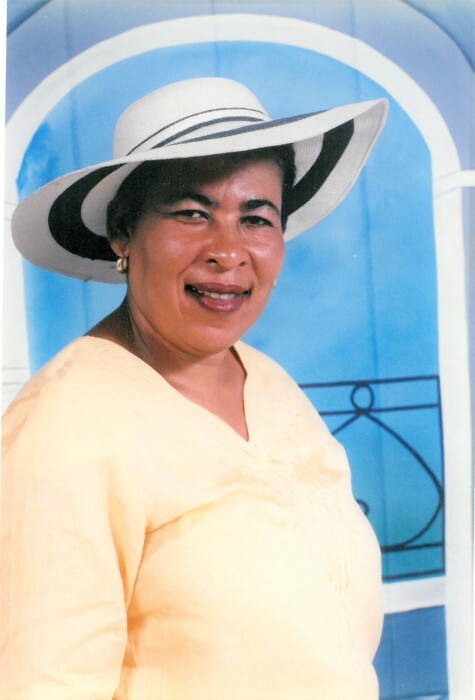 Gabelita completed her studies at 19 years of age.she left Haiti at the age of 52. Gabelita was well diversed in her small business in her home town in Haiti and also cared for the homeless, she volunteered in churches and orphanage in the country side of Haiti. She also traveled back in fourth of the country to Haiti. While residing in the U.S, Gabelita cared and provided for her family. Gabelita loved to spend time with her grandkids, Gabelita also loved to listen to music and her favorite hobbies was cooking. When we were growing up my mother made sure my sister and I were always taken care of. She will sacrifice her own happiness for her children. From an early age, Gabelita taught her children how to cook and wash their own clothes. And Gabelita always said that we could be whoever we wanted to be. She was a person you could really depend on and was a constantly supporting her children no matter what if they wanted to climb the tallest mountain or build the biggest block tower. She was our rock and that is one lady who will be missed by not only her children, but everyone. Gabelita was known as someone with a strong spirit who never gave up. On September 4, 2018 Gabelita was called home to be with the lord. HER DAUGHTERS: Wesline Yacinthe and Phara Charlestin. HER SISTERS: Carline Joseph, Marie Carmelle Jean, Mimose Alesis. HER GRAND CHILDREN: Kevin Yacinthe, Ayden Kyle Yacinthe. HER NEPHEWS: EDgard Mompoint, Brahms Alesis, ludvick Alesis, Ricardo Pierre, Richard Louis jean , Herrio Rabel, Kesner George, Wenley Jean. HER NIECES: Carine Pierre, Mitchell Alesis, Gaelle Augustin.